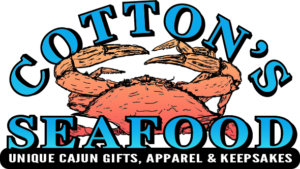 One stop shop for Cotton's Seafood products. New Art Prints added every month! Read the amazing real-life stories of Jim LaBove and his upbringing in the salt marshes of Southeast Texas. Browse our exclusive Cajun apparel! Cotton’s Seafood is a one-of-a-kind Cajun gift shop. 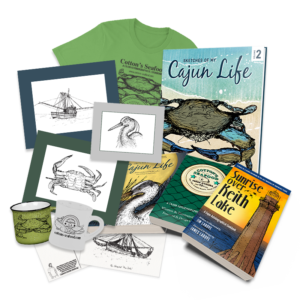 We specialize in books, art prints, cards, and apparel that celebrate the unique history and lives of the women and men who settled in the coastal salt marshes of Southeast Texas and Southwest Louisiana following the Great Expulsion of Acadian immigrants from Canada. 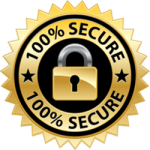 We strive to offer products you can’t find anywhere else, with an authentic Cajun flavor: One that is often signified in popular culture, but without any true sense of the struggles, perseverance, and grace of the people who are part of it. Part of our goal of this venture is to shine a light on this unique way of life that is gradually being lost to time. 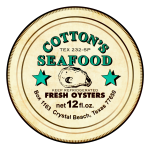 Now, for the first time, we have collected all of our product lines to offer them for purchase in one place: Cotton’s Seafood. We hope you love them as much as we do! 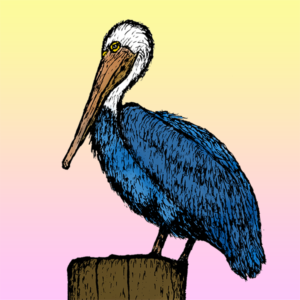 Our story began with the formation of Blue Pelican Publications, a publishing company we created to release the Cotton’s Seafood line of “Cajun autobiographical cookbooks,” which remain out flagship products. Gradually, we have expanded our line of products to include many products featuring the folk art that illustrated out book series. Blue Pelican Publications remains a publishing house celebrating untold stories in Cajun culture. We have additional Cotton’s Seafood titles on the way, along with plans for new book series and e-book releases. Check here and the Blue Pelican site for more information in the future! Jim LaBove is an entrepreneur currently living and working in Beaumont, Texas. Most of his formative years were spent growing up in Sabine Pass, Texas where he worked for Cotton’s Seafood, a local commercial fishing venture ran by his father, Lazime “Cotton” LaBove. 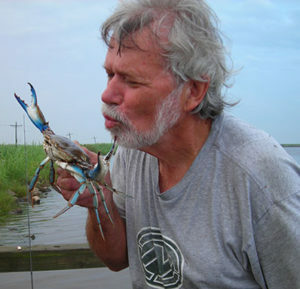 During these years, Jim was enmeshed in a culture he refers to in his writing as “bayou Cajun,” an oft-overlooked branch of the Acadian disapora. The bulk of Cotton’s Seafood products are based on the writing and illustrations that Jim has created. His published works seek to put a spotlight on these people, with the hope that they will play some small role in preserving this unique heritage.